Genesis mining is a cloud mining platform that allows you to mine multiple cryptocurrencies including bitcoin and ethereum. the best feature is the support provided by them, they respond pretty quickly to your queries and they know what they are talking about, the interface is also pretty good and very easy for you to move through the website. the setup process is very easy and doesn't need much knowledge to get started the support is always helpful in case of any doubt. there are many coins for you mine unlike other mining services available which focus on major coins only. genesis mining has a good reputation when it comes to cloud mining and one of the most popular out there making it a primary choice. the major issue is the profit, cloud mining isn't really profitable atm and I never hit over 1% profit per day. also, the market of cryptocurrencies are fluctuating making it not the best option to invest and you can never be sure about whether you get your investment back or not. genesis mining won't gives the complete information on mining to the users, unlike other services which provide detailed reports every day. if you need to get really profitable a lot of initial investment is required. if you know what youre doing and looking for a cloud mining service highly recommend you to check genesis mining before moving on. renting cloud mining servers to mine cryptocurrencies.I tried to mine bitcoins and it wasn't the most profitable investment I've made. I was able to complete all my tasks using this software with no problems. It is fast and well managed. It was a little confusing to understand at first, because it's a newer system and needs time to develop. it is an easy and safe way to purchase hash power without having to deal with the complex hardware and software set up. Genesis Mining specializes in building the most efficient and reliable mining rigs that they offer to their clients for rent. All you need to do is set up an account with them to start mining. "Genesis mining- My gold miner"
I like the way they consistently pay their miners. They have a very good support staff system. High prices for the contract. Because of volatility in the crypto market, prices of coins go down a lot of time. If they could reduce the pricing of contract , it will be a better deal. 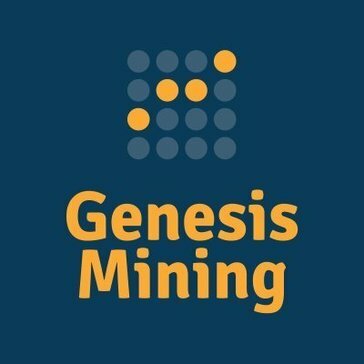 Genesis mining is the best crypto mining company in the industry. It is good for users seeking constant stream of income. * We monitor all Genesis Mining reviews to prevent fraudulent reviews and keep review quality high. We do not post reviews by company employees or direct competitors. Validated reviews require the user to submit a screenshot of the product containing their user ID, in order to verify a user is an actual user of the product. Hi there! Are you looking to implement a solution like Genesis Mining?